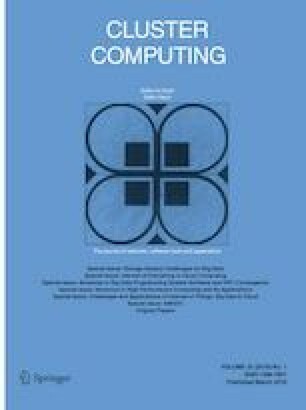 Dynamic resource allocation is the key objective of the paper motivated due to a large number of user’s service request and increasing network infrastructure complexity. Load balancing and Service Broker Policy are taken as two main key areas for the dynamic provision of resources to the cloud user in order to meet the QoS requirement. While provisioning the resources, the conventional approaches degrade due to QoS performance limits such as time delay, energy, etc. To overcome those problems, we proposed a new approach to provide dynamic provisioning of resources based on load balancing and service brokering. Initially, the Multi-agent Deep Reinforcement Learning-Dynamic Resource Allocation (MADRL-DRA) is used in the Local User Agent (LUA) to predict the environmental activities of user task and allocate the task to the Virtual Machine (VM) based on priority. Next, a Load balancing (LB) is performed in the VM, which increases the throughput and reduces the response time in the resource allocation task. Secondly, the Dynamic Optimal Load-Aware Service Broker (DOLASB) is used in the Global User Agent (GUA) for scheduling the task and provide the services to the users based on the available cloud brokers (CBs). In the global agent, cloud brokers are the mediators between users and providers. The optimization problem in Global Agent (GA) is formulated by the programming of mixed integers, and Bender decomposition algorithm. The result of our proposed method is better as compared with the conventional techniques in terms of Execution Time, Waiting Time, Energy Efficiency, Throughput, Resource Usage, and Makespan.